Blanc Widemise is 25 years old. Her husband to be, Milice Therlange, is 42. Today they are getting married. Blanc because she has to and Milice because he can. 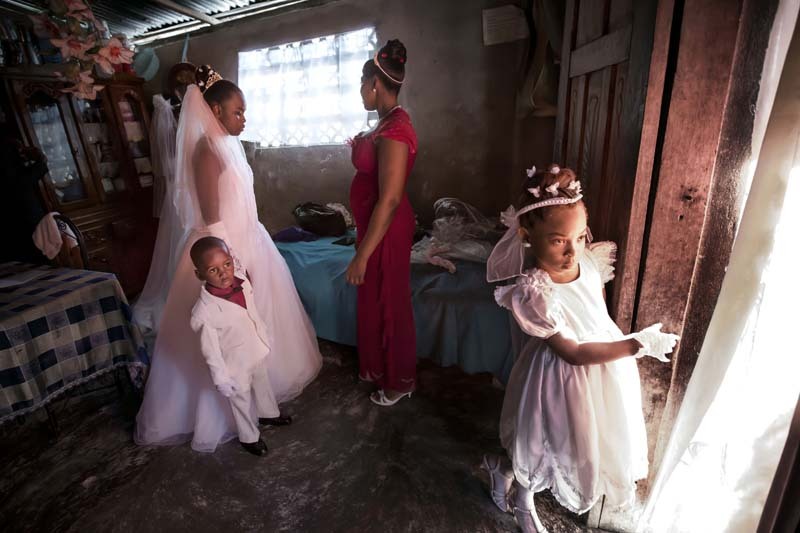 The groom has something that is rare in Haiti. A job. Blancs mother is dying of cancer and the wedding is more a necessary social and pecuniary maneuver than an act of love. Soon she will be alone in life and with no income in one of the poorest nations in the world. Something that can be dangerous for a woman. Already before the earthquake of 2010 the women were under systematic repression and for many the situation is even worse today. Human Rights Watch notes that women developing a forced sexual dependency with men in exchange for food is common. What should have been a happy day is instead a somber story.